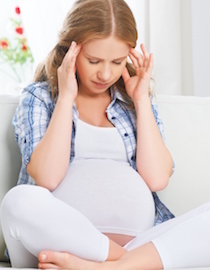 Migraine During Pregnancy: How Will Pregnancy Affect Your Migraines? How Will Pregnancy Affect Your Migraines? Two women share their stories, tips, and general guidelines about managing migraine during pregnancy. First, Krystina Ostermeyer shares her personal experience coping with migraines on a daily basis without medication. 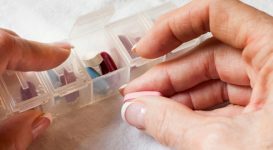 On page two, Jaime Sanders offers treatment guideline dos and don’ts, highlighting medications and alternative medicines. I can remember when I announced my pregnancy to my family. “Oh, this will be the happiest time of your life!” said my grandmother. I happily agreed with her. And I was happy. I was blissfully happy. But physically, I was miserable. When I was trying to get pregnant, my neurologist weaned me off of my Topamax. 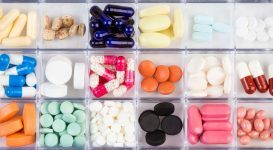 When I got pregnant, all of my rescue medications had to be stopped – except Tylenol, which, let’s face it, really doesn’t work anyway. I had weeks where my migraines were nonexistent. I would think to myself, “This. I just need to stay pregnant. This is the migraine cure!” Then I’d have weeks where my migraines were worse than they were before. 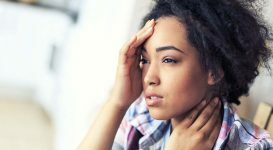 So here, my fellow migraineurs, are my tried and true remedies for coping with migraines during pregnancy. Yes, it is miserable. But I promise – the end result is worth the agony. I know what you’re thinking. Your bladder is squished by a baby. You’re already peeing every five freaking minutes. Drinking more water will send you to the bathroom every three minutes. And that is ridiculous. But if you’re like me, you tried to initially drink less water because you were always going to the bathroom. This is dumb for a lot of reasons. These reasons are beyond the scope of this article (can I just quickly mention Braxton Hicks contractions, please?) but my migraines reared their ugly head when I cut back on my water. I got massages routinely when I was pregnant. I dealt with numerous issues during my pregnancy – I had lower back pain (who doesn’t? ), sciatica, and migraines. I felt that prenatal massages were a good investment in my health. I rotated between two massage therapists because I got the massages frequently – this way, I had a good chance of getting my massages when my body needed them. I ensured that the therapists were trained in prenatal massage. Some massage therapists are not, so do not be afraid to ask when calling to make an appointment. When you get to your appointment, make sure that you are positioned appropriately. It’s ok to lie on your back until you get to the point where it is not comfortable anymore. It is also to lie on your stomach until it is it is not comfortable anymore. One of my therapists had an amazing table with an insert where I COULD lie on my belly and it literally was nestled into the table with pillows, which was amazing when I hadn’t laid on my belly in months. The other therapist had me lie on my side and supported my back, belly and legs fully with pillows. The bottom line – you should be made to feel comfortable with their credentials and on their table. They should take care of what ails you – be it your head, your back, or your feet. By now, dear readers, you probably know that I have an active yoga practice. I fully recommend it to anyone, for almost any ailment. I did yoga throughout my entire pregnancy. I did yoga until the day before I was induced. 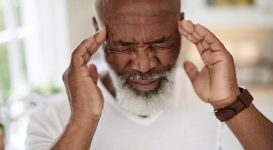 I can’t credit yoga for getting rid of my migraines, but my migraines are greatly exacerbated by anxiety – and yoga reduces my anxiety a lot. If you have an active yoga practice right now, know that your yoga practice will change with pregnancy. I recommend going to a class specific for prenatal yoga, or going to a class with an instructor who is comfortable offering modifications for a pregnant yogi. There are also a wide variety of prenatal yoga DVDs available for purchase. Yoga Journal offers an abundance of resources regarding prenatal yoga. I constantly felt the need to get everything done before Logan was born – get a few meals cooked for the freezer, clean the house, buy more diapers, stock up the onesies. But when I got a migraine, I would find myself sitting on the couch in tears, wondering how the heck I was going to get it all done. Part of the problem, I’m sure, was trying to get it all done. On those days, I tried to remind myself that it was ok to lie down and take a nap. Sometimes it took my husband to say, “OK, Krysti – go lie down. I’ll take care of this.” But guess what? Even if I still woke up with a headache, I mentally felt better when I woke up. So there you go, ladies. My best tips for dealing with migraines during pregnancy. None of this is earth-shattering information, my tips just my help to slow you down – just a bit! Next page: continue to the next page to read medication guideline dos and don’ts while pregnant, written by migraineur Jaime Sanders. 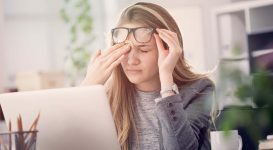 You might also like...How Are Migraine and Thyroid Problems Related?